Over 2 million people in the UK are currently living with some form of vision loss which is impacting their daily lifestyle. Even if you are not currently living with an eye condition, it is important to be aware of the various conditions that might one day effect your vision and how to detect them. Have you ever heard of Presbyopia? This condition is the normal loss of near vision we experience as we get older. Presbyopia is unavoidable, although it isn’t something you need to worry about. So, what causes Presbyopia? This condition is where the flexible part of the eye which helps us to focus, starts to lose the flexibility it once had. This loss of flexibility starts to make focusing on objects that are close to you more difficult, impacting activities such as reading. Even if you have never needed glasses, once you reach your mid-forties, the chances are you will need reading glasses to correct these changes. Approximately, 677,000 people in the UK are currently living with a cataract. A cataract is a build-up of protein in the lens of the eye which forms a clouding. This may reduce the clarity of colours, ‘’halos’’ may appear around lights, and you may experience blurred vision. Thankfully, a cataract is correctable with surgery. 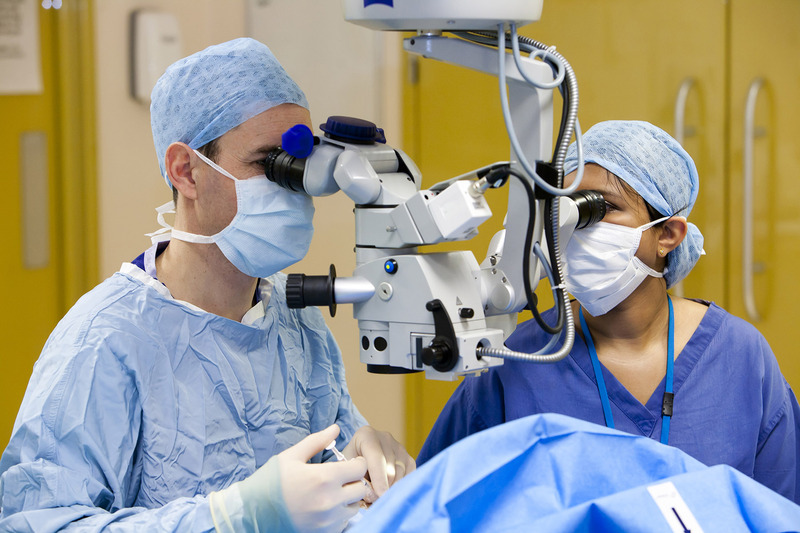 Cataract surgery is one of the most performed surgeries in the UK with around 400,000 surgeries a year being carried out. For more information about cataracts and cataracts treatment, please click here. Approximately, 2,790,000 people are living with an early stage of AMD. Age-related Macular Degeneration (AMD) is currently the leading cause of blindness in adults. It causes damage to the macula, the small area near the centre of the retina and impacts your central vision. This means you will not lose your sight completely, as you will still have your peripheral vision. Difficulty reading small print (even with glasses), straight lines becoming wavy, dark spots in your central vision and general unclear vision are all symptoms of AMD. There are 2 types of AMD, wet and dry. Dry AMD is the most common type and usually develops gradually. At it’s very worst it will cause a blank patch in your central vision. There is currently no treatment for this type of AMD, but a large scale clinical trial showed that certain vitamins reduce the risk of developing advanced AMD. Wet AMD causes severe changes to your vision in a short period of time (usually a few weeks or even days). Wet AMD is caused by your body growing new blood vessels in the eye to try and fix the changes to your macular. There is anti-VEGF treatment available on the NHS to slow the development of the condition, but currently there are no known treatments to reverse the effects of Wet AMD. Due to the quick progression of wet AMD, if you suspect you may have it, we would highly recommend you visit your optometrist as soon as possible for an urgent referral to a specialist clinic. For more information on AMD, please click here. The estimated number of people living with glaucoma in 2018 was roughly 675,000, it is one of the leading causes of sight loss. Glaucoma is a group of eye conditions which cause permanent vision loss. High pressure or weakness in the eye can cause unrepairable damage to your optic nerve resulting in Glaucoma. Glaucoma doesn’t normally cause any symptoms in the early stages of development. Many people don’t realise they have glaucoma, and it’s often only diagnosed during an eye test. For more information on Glaucoma, please click here. It is estimated that 1,310,000 people in the UK are living with diabetic retinopathy. Diabetic retinopathy is caused by high blood sugar levels which block the little blood vessels in the back of the eye, causing them to leak. Unfortunately, if this condition is left untreated, it can cause blindness. However, it can take several years for diabetic retinopathy to get to this point. The symptoms of diabetic retinopathy are not obvious at the early stages. You should contact your GP or diabetes care team if you start to suffer from worsening vision, sudden vision loss, floaters or patchy vision. It is important to seek help as soon as possible, rather than wait for your next eye screening appointment. Managing your diabetes and attending your annual diabetic eye screening is the best way to monitor the health of your eyes and detect this condition. You can reduce your chances of developing diabetic retinopathy by maintaining a healthy lifestyle and diet, exercising regularly, stopping smoking and maintaining a healthy weight are all contributing factors. 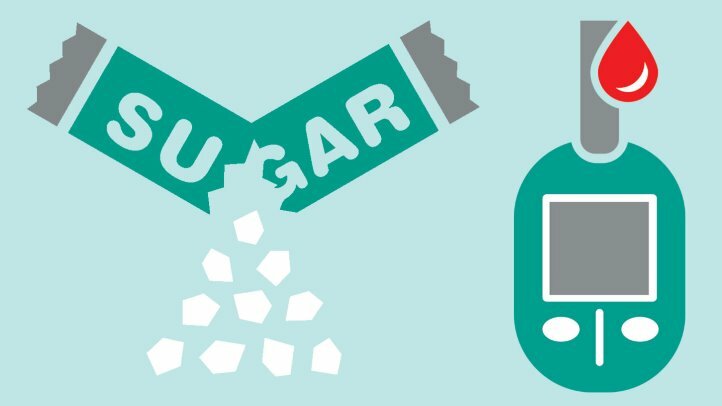 Cholesterol, blood pressure and blood sugar should be monitored by your GP often and regular eye screenings should be attended. Treatment for diabetic retinopathy is only required if a significant problem, meaning that your vision is at risk, is detected. The treatment can include, eye injections, laser treatment and eye surgery. For more information on diabetic retinopathy, please click here. It is so important to take care of your eyes. Follow the NHS guidelines and visit your optician every 2 years for an eye health examination and more frequently where advised. Your optician can to detect any changes in your eye health and prevent these common eye conditions from developing and causing vision loss where possible. You can find more information regarding what to expect at an eye test by clicking here.